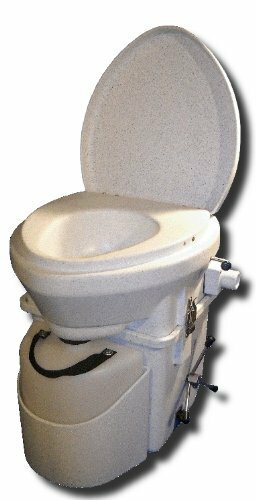 A composting toilet is a new alternative that people are beginning to use more often. Many of them do not require water, but they provide a clean alternative to using a bucket, especially when you are out camping or on your boat. They are designed to be self-contained and environmentally friendly in every way. 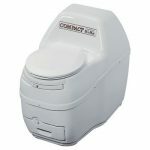 Nature’s Head promises to give you a toilet that will keep up with your active outdoor life, but many people have to wonder if it is truly the best composting toilet available. 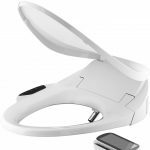 To help you find out if it is as eco-friendly as it sounds, you should check out our Nature’s Head dry composting toilet review. 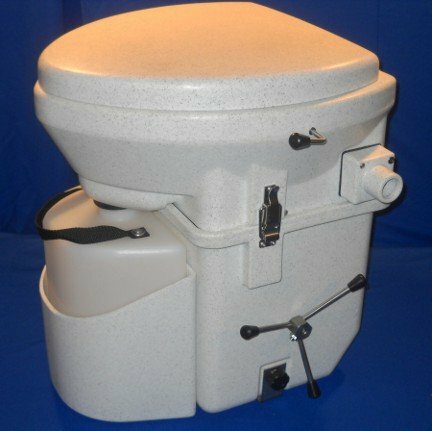 The Nature’s Head composting toilet does not require any water. 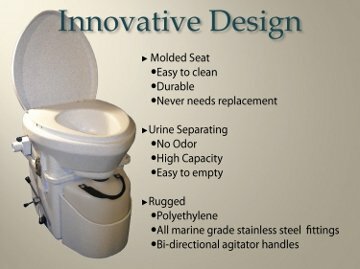 This makes it easy to install if you want to use it in your home, RV, or anywhere else that you may want a toilet. There is a hand crank agitator inside of the base. This helps to speed up composting and makes it very user-friendly to own. 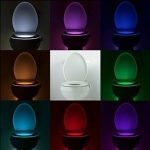 It is a molded design toilet. This ensures it is lightweight. It is odorless and fits anywhere that you want to put it. It can work well in a tiny house, workshop, cabin, and all other areas. This toilet comes with a 5’ vent hose, a bottle cap, and a 12v power plug. It features stainless steel hardware and a robust construction that can handle all of your adventures. As an added bonus, it is made in the USA and has an excellent customer support team that will be there to help you if you have any issues. 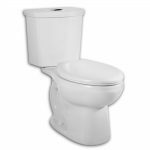 Due to the fact that a composting toilet is still a relatively new concept for homes, RVs, and other outdoor activities, there are not a lot of opinions or reviews on the Nature’s Head dry composting toilet. However, there are over 40 reviews and it still manages to hold a 4.6-star rating. Most are owners who use it in their RV and cabins. They love how long they are able to go between emptying the tank. They like that you can have a toilet without installing a septic tank outside of their cabins. They love that it enables their tiny house to travel around with them and know that wherever they stop, they do not have to worry about how they will manage to work their toilet. The biggest downside is that you should expect to have to deal with your waste when using it. 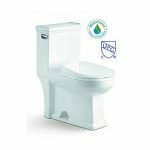 In general, there will not be an odor coming from the toilet, but you will have to deal with it when you are emptying the toilet’s waste tank. 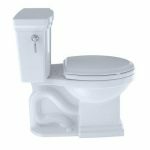 Some people are not fond of this idea and it is definitely something you should think about before you purchase a new composting toilet. Compost does not form overnight. The good news is, in most cases, you will not have to worry about your waste touching you, but you will have to empty it out. 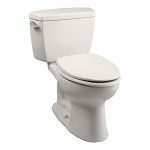 Is This Composting Toilet Right for You? 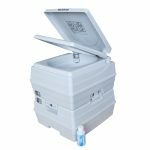 The Nature's Head dry composting toilet is designed to provide you with a bathroom, regardless of where you are. It is lightweight and perfect for use on boats and in other recreational vehicles. 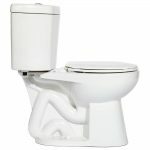 It is also ideal as a primary toilet if you are trying to conserve water. 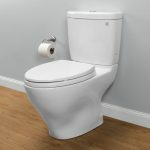 There are people who have used this toilet for years and they are more than satisfied with its performance. There are not a lot of reasons for it to suddenly stop working, so it is dependable. It is ideal for people who want to recycle and live more eco friendly. If that sounds like you, then you should be happy with it. If you have issues dumping out your waste, this toilet may not be ideal for you. Therefore, whether it is worth it or not, depends mostly on you and your preferences. Another great composting option worth checking out is the Sun-Mar Excel.